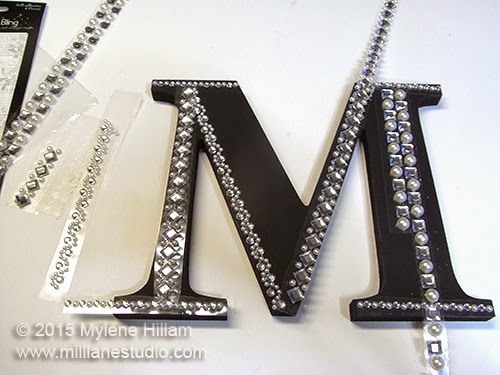 Mill Lane Studio: M is for.......An easy Monogrammed Mirror! In recent weeks, I've been giving my studio a complete over haul: declutter, destash, relocate and reorganise. It was long overdue - it's been five years since I moved into it and whilst this is not the first reorganisation it's gone through, it is by far the biggest and the most ruthless I have been in deciding what stays and what goes. And now that all that hard work is done, it's time to inject my style and personality into the studio. 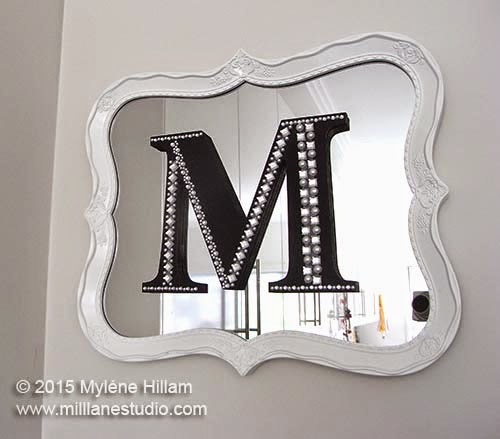 This chic black and white monogram mirror has such a timeless and elegant feel. And it's easy to do too - you can complete it in less than two hours! a resin-framed mirror (because it's lightweight for hanging). This one's no longer available from Spotlight but this one would work. 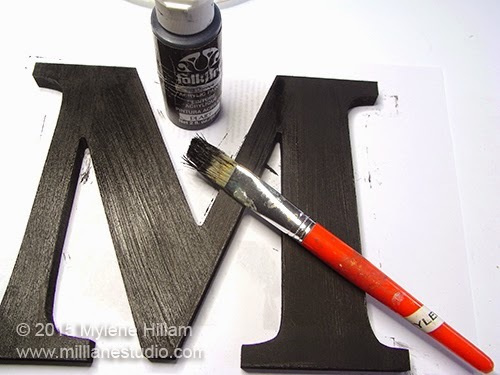 Before you paint the front of the letter, paint all the sides, making sure you get into all the corners. 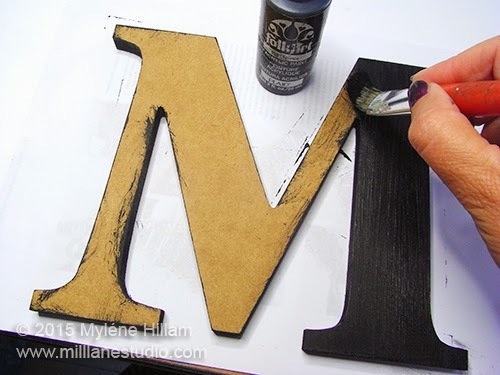 Allow that to dry and then paint the front of the letter. I only needed one coat of paint but if yours is looking a little patchy, allow the first coat to dry and apply a second coat. Check that the unpainted back isn't showing. 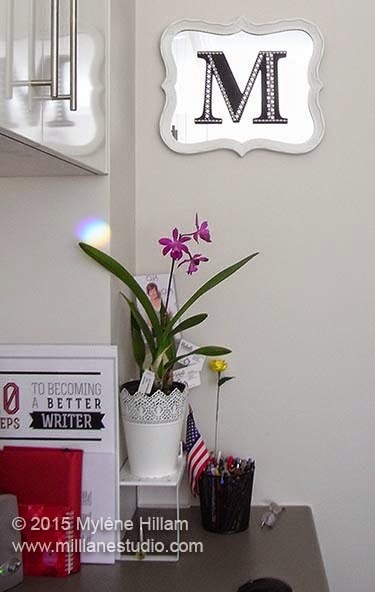 Once the letter has dried, place the letter on the mirror to see how it looks. I'm so glad I did this because the reflection showed the unpainted back. No problems...... just paint all around the edge on the back of the letter too. Now it's time to go to town with the bling. 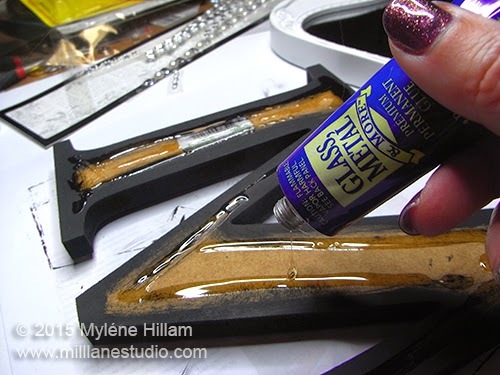 Before you remove any of the borders from the plastic carrier, cut the carrier into strips and begin experimenting with the placement of the strips. Once you're happy with the look, peel the carrier away and position the border on the letter. 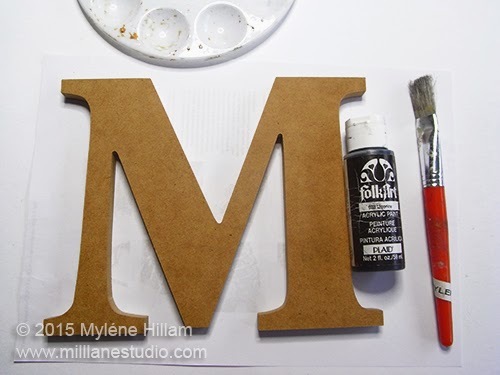 Apply a thin coat of adhesive to the back of the letter. 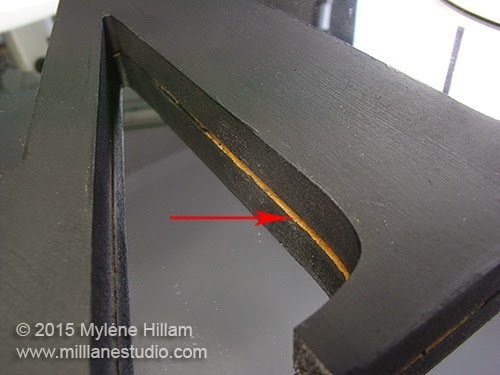 Don't place it too closely to the edge or it will ooze out onto the mirror and be visible from the front. Place the letter on the mirror and leave overnight to dry. 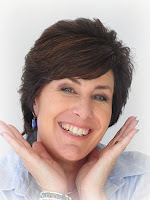 If you do have a little bit showing, use a toothpick to scoop away the excess whilst it's still wet and then clean up the residue with a cotton bud (Q-tip) dipped in acetone or methylated spirits. Hang with 3M Command strips. I love all the contrasts in this piece: the bling against the black letter; the black letter against the mirror; and the mirror against the white resin frame - it all just works! And now I have a personalised decorator piece hanging proudly on the wall alongside my computer. Decorator pieces don't need to be substantial to have impact. This one just ties the other elements on my desk together making it a much more inviting place to work.